Musculoskeletal robots may one day assist the growth of replacement tissue grafts for transplant patients. Researchers at the University of Oxford are beginning to investigate a potentially groundbreaking method for replacing damaged musculoskeletal tissues (such as muscle, tendons and ligaments), which remain unmet needs in regenerative medicine. 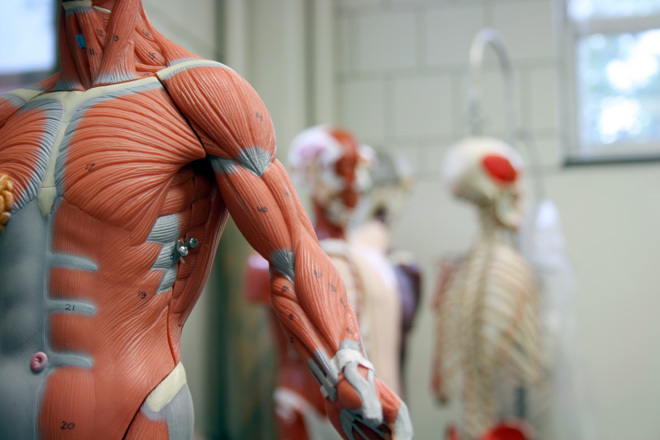 The proposed approach, which involves growing tissue grafts directly on humanoid musculoskeletal robots, could result in healthier, stronger tissue prior to transplantation on a patient. Tissue engineering aims to produce biological tissue in vitro by a combination of cells, scaffolds, or matrices to support new tissue growth and bioreactors. Bioreactors are growth chambers where tissue constructs are grown and provide some form of mechanical stimulation. Mechanical stimulation in vitro needs to closely mimic normal stresses experienced in the body – twists and strains – to produce functional tissues, which is needed for cellular development. However, most bioreactors in operation remain unsophisticated with regard to the way they replicate those stresses. Musculoskeletal humanoid robots, which aim to copy human joints, provide better range of motion and multiple degrees of freedom compared to the linear actuators used in basic bioreactors. They could provide realistic physical exercises for nurturing growing tendons, ligaments, and even cartilage. Researchers could then monitor how tissue is forming through the use of various sensors embedded in the humanoid bioreactor system. Ineffective tissue transplants pose economic, social, and health problems with musculoskeletal tissue disorders and injuries becoming a growing concern among ageing populations—pain and lack of mobility being the two most common problems due to tissue failure. Further exploration may lead to future cross-disciplinary applications in medicine and robotics. The full paper, Growing tissue grafts on humanoid robots: A future strategy in regenerative medicine?,’ can be read in the journal Science Robotics.